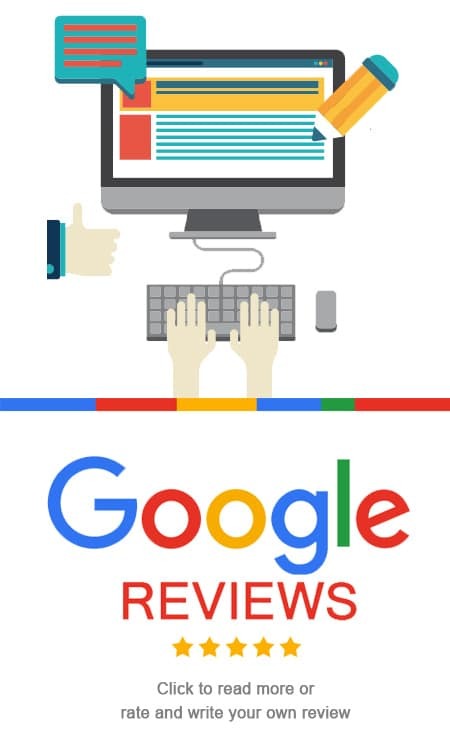 We encourage our customers to review us and read reviews others have submitted. I am beyond impressed with Jarret and Mark’s work on my Travertine floor tile. We had the tile put down in November. The sealer that the other floor installer used showed scratches and looked dirty all the time. I researched about stone restoration and polishing and decided that this would be my only option to make this expensive floor look better. I have to say that it looks better than better. An absolutely beautiful shine that makes the tile look like it is freshly mopped. They really brought out the beauty of the stone with their technique. Their quote was very reasonable, and honestly I thought it would cost much more after reading some info. online. They came in the afternoon and finished the work that day. They were very professional in the way that they protected my cabinets and wood laminate. I would highly recommend Modern Stone Care. Happy ! Happy! Happy! Came on time! Complete the work very fast. Professional! Love the work and I will never hesitate to call them when I need too! Great service! Love the end result! It was a wow moment to see how clean my marble got! Love love love!!! Have black marble with white veins all through my home. It was etch and dull. After MSC cleaned my floor it looked better than the day it was installed! They did an exceptional job restoring/polishing my travertine floors. They were on time and did a great job! This company truly provides excellent costumer service,; honest, professional and caring. My floors look better than when originally installed! Highly recommend them and will be calling them back to restore my granite counter tops. Jarret arrived promptly as scheduled and polished the stone tops of 3 antique tables for us. He did a wonderful job and at a reasonable price. It had been decades (if ever) since they were professionally cared for and it’s nice to have beautiful tabletops again. Jared was prompt, professional, knowledgeable and did a great job. Work was completed at the agreed upon price. Other local contractors were reluctant to do the work or quoted far higher prices. Very pleased! I cannot say enough good things about Modern Stone Care. They were professional, timely, great quote, very honest. I had had about 3 other estimates that were all much higher. Jeff assured me of his process and I could tell he was not trying to take advantage of me or pressure me. The result is excellent. I will be hiring them in the future the next time my floors need polishing. VERY pleased with the experience. Prompt, pleasant, professional- explained the science behind the process thoroughly and patiently. More expensive than the other two quotes, but negotiated down a bit and did a wonderful job. Agreed to return to “top off” a large hole in the travertine that hadn’t been fully filled- had told us to expect that with this tile prior to filling, though. Great folks! Excellent job!! I had damage from a free standing fountain. They got up all the calcium deposits. Very personable and helpful in explaining each detail of the treatment. Extremely reasonable price for great delivery. Thank you so much, Jeff, Jarret and Mark on the awesome job ya’ll did on cleaning and sealing the travertine in our house and polishing the marble and granite! Everything is just great! Thanks again! Our bathroom travertine floor had embedded dirt. Modern stone cleaned, sealed and polished the floor beyond my expectations. I recommend them to anyone seeking high quality professional work at a reasonable price. These guys are awesome- I got bids from several companies to restore our stone floors not only was this the least expensive bid but we are thrilled with the result. The showed up promptly at the time they said they would and did exactly what they promised. It is better than we expected and I would highly recommend them as very professional. My travertine floors in my kitchen had gotten to the point I wanted to just rip them out. I called Modern Stone Care and Jeff came out that same day and gave me a free estimate and consultation. A week later, the guys showed up and within a few hours they were finished. The results were absolutely unbelievable. My floors looked brand new again. I still can’t get over the transformation. Everyone who walks in the door comments on how beautiful and shiny my travertine is. I highly recommend these guys to everyone I can think of. I will use them again. Comments: Needed my tile and grout cleaned/ sealed in my kitchen and foyer. Co-Owners Jeff and Mark did an exceptional job. The quote was reasonable and my tile/grout looks brand new!!!! My husband was also very shocked and amazed at the finished product. Thank you our money was well spent. 5 stars. I am so happy with the service provided by the professionals at Modern Stone Care. I had my marble floors “fixed” two years ago by another company. The sealer was already chipping and flaking so I called Jeff. Within an hour and a half, he was at my house. He explained the best way to get the look that I wanted was to polish the marble, not use a topcoat. I am so glad I listened because Modern Stone Care delivered the beautiful, reflective marble floor I always wanted to have. My friends say it doesn’t even look like the same floor! I can’t say enough about the service or the results. Jeffrey, Jarrett, and Mark came to my home at the appointment time, and immediately analyzed my problem. They started working on the problem and corrected it in a very timely fashion. They were efficient, cost effective, and completely professional. I would definitely recommend Modern Stone Care for your stone, marble, and travertine restoration needs. Their work is excellent at a reasonable price. Modern Stone Pros. were very professional. They did a great job on my travertine, marble and granite. I totally trusted them in my home while I left to go run errands. I highly recommend them. Modern Stone Care is a terrific group who produce terrific results. Jeff, Jarret, and Mark are professional and efficient. When they first came to give me a free estimate (the same day I called), they provided a great tutorial in caring for natural stone. I hadn’t even hired them yet, and they were providing a great service to me. Their pricing was lower than the two competitors I received, and they could complete the job quicker than those competitors. When we moved into our new house, the slate floors were in terrible shape and had never been professionally cleaned (in almost 20 years!). Modern Stone Care was able to strip them down to their original state and then seal the floor to protect from grease and grime. I cannot say enough good things about this group and their work. And the proof is in the pudding–our floors were sparkling (after a 9 hour cleaning and sealing process) when the guys left. They are very knowledgeable, professional, and just went above and beyond what I was paying for. It’s hard to say which was of a higher caliber–their work or their customer service–both were superb. I plan to have them out on a yearly basis to clean and reseal our floors and buff out the etchings in our marble counter top. I wish I could clone these guys to do everything else around the house! Wonderful job my tile looks brand new!